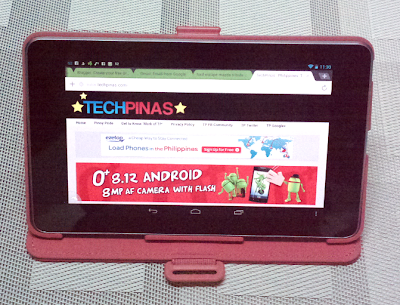 I'm dedicating this post to Miguel Rojo who's long been asking me to post an entry about my favorite Google Nexus 7 tablet case. Here you go, Miguel. 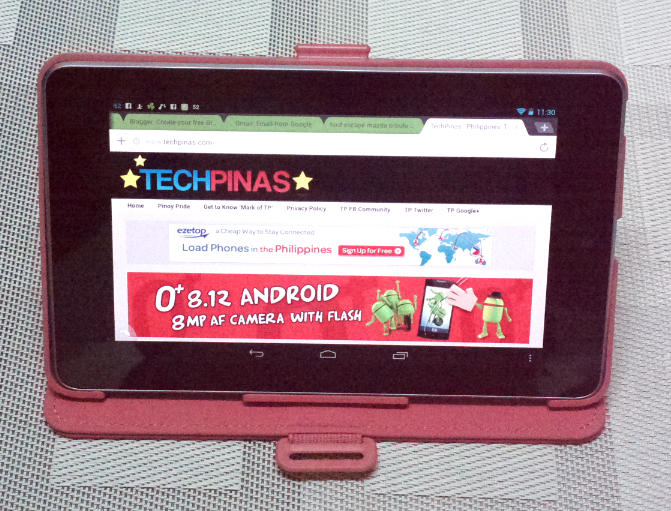 Meet my Speck FitFolio for the Nexus 7. 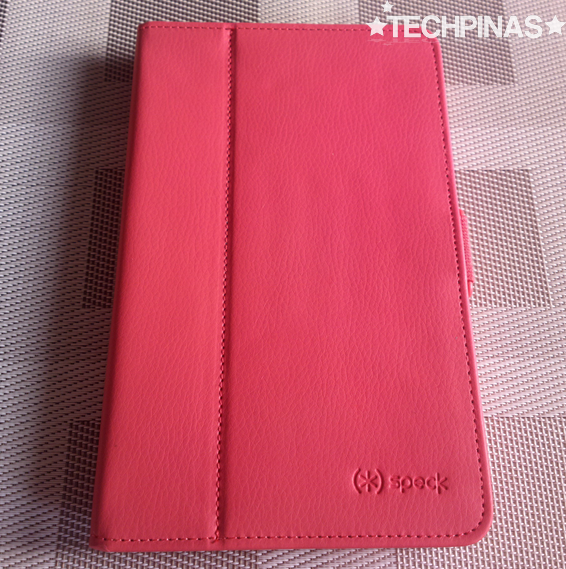 I have it in Coral -- a mixture of Light Purple and Carnation. I love this color. It's very eye-catching. FitFolio is available in two other colors, namely, Black and Harbor (Greyish Blue aka Cadet Grey). 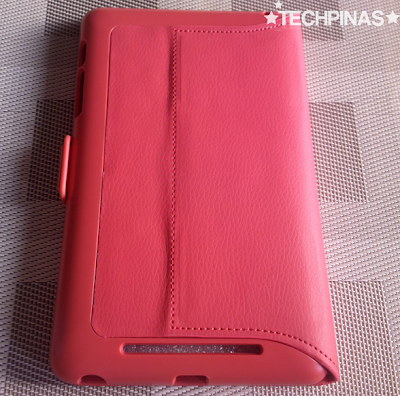 You can get this folio for only Php 1,650 at Avant, Beyond The Box, Digital Hub, Digital Walker, E-Central, Electroworld, Gadgets in Style, Globotel, Gui, iBook, iCenter, iGig, iStore, iStudio, Lenin Computer System, Liteware, Meetrovi Mobile Shop, Mobile 1, Octagon, Podworx, Power Hub, SencoLink, Sidrah, Silicon Valley, Switch, Technoholics, The A. Shop, The Inbox Store, Wow Mobile, LMK, Games and Gadgets, Astrovision/Astroplus, Vertex, Rockwell, Fortress, Additekh, or Banana Telecom. I know it's not particularly the most affordable case you can get for this slate but considering its quality, I think it's well worth it. So what makes it my favorite, you ask? Well, I have three main reasons why I love this product. First, it's gorgeous. I mean, just look at it. The design is very understated and the hues are monochromatic, which I find very attractive. You won't see any unnecessary embellishments or fancy 'borloloys'. 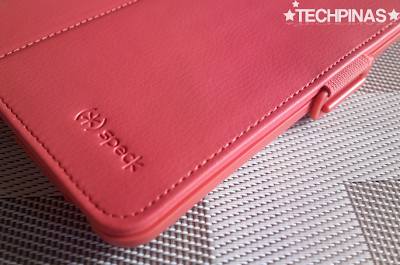 In fact, the only accent you'll see is the Speck logo heat-pressed on the faux leather cover and the two-way clasp latch on the side keeping the cover in place. 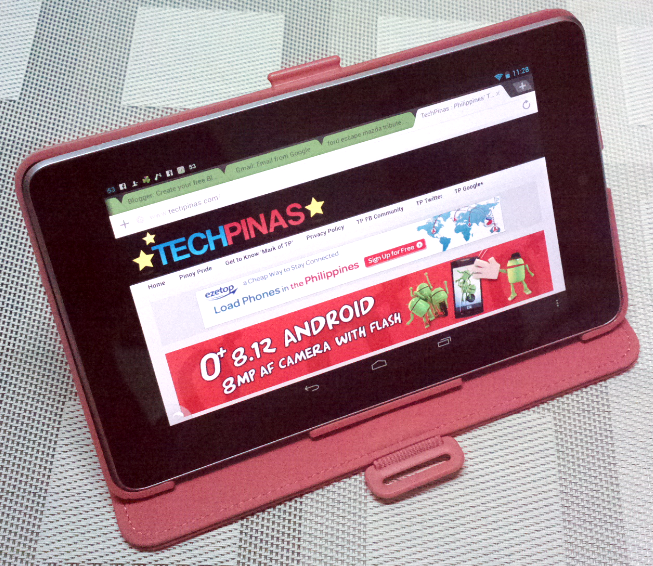 Second, it feels sturdy and durable. I think it's incredibly well-made. 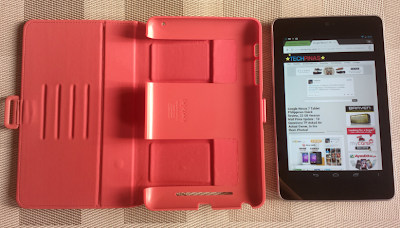 The polycarbonate shell - with grooves and holes for ports and buttons - holds the Nexus 7 securely in place and even protects it against bumps and scratches. If you inspect the cover, you'll see that the side-seams are very neatly and carefully sewn in place making the case look elegant and giving it an aura of durability. On the other side of the cover, the one that kisses the slate's display, you'll find a micro-suede interior serving as a protective pad for the glass touchscreen. 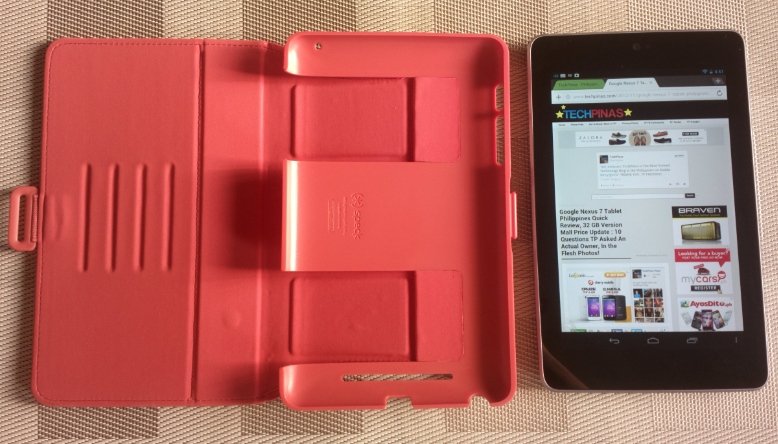 And finally, as you can see in these photos, the case also transforms into a stand for the Nexus 7! The cover folds into a viewing or typing stand - with multiple angles - for browsing the internet, gaming, reading, watching Youtube videos, giving presentations, and a whole lot more!